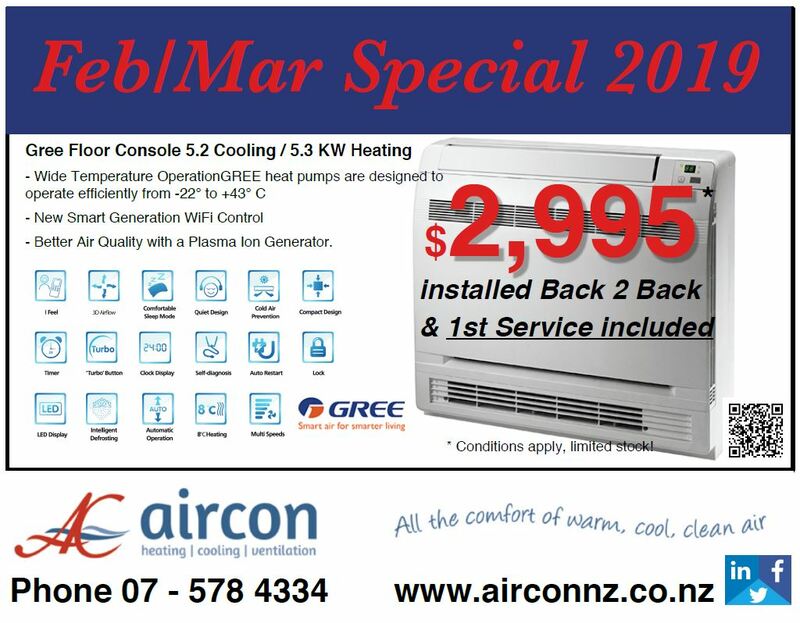 Air Con Tauranga (a division of Energy Services Tauranga Ltd) is dedicated to providing accurate and reliable advice and supply of heat pumps, ventilation, air conditioning and ducted central heating systems specially designed for the unique Bay of Plenty climate. 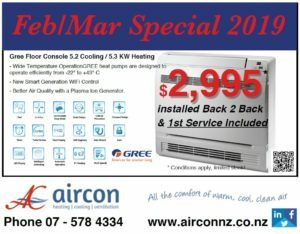 Air Con Tauranga's dedication to quality service means we work with you to get the right system for your needs and create the perfect environment in your home or office. We can assist with the highest standards of correct sizing, advice and installation for air conditioning and heat pumps in the Bay of Plenty region. Air Con Tauranga brings a wide range of experience in the electrical field and is able to offer a full range of electrical services. Our electrical experience ranges from domestic installations and design right through to commercial. You can count on our Qualified Electricians to complete the job on time and on budget. Our heat pump models include Hi Wall, Cassette, Floor Mounted, depending on the style of your home, while ducted heat pumps provide the most effective heating system possible. We offer free quotes and competitive prices. 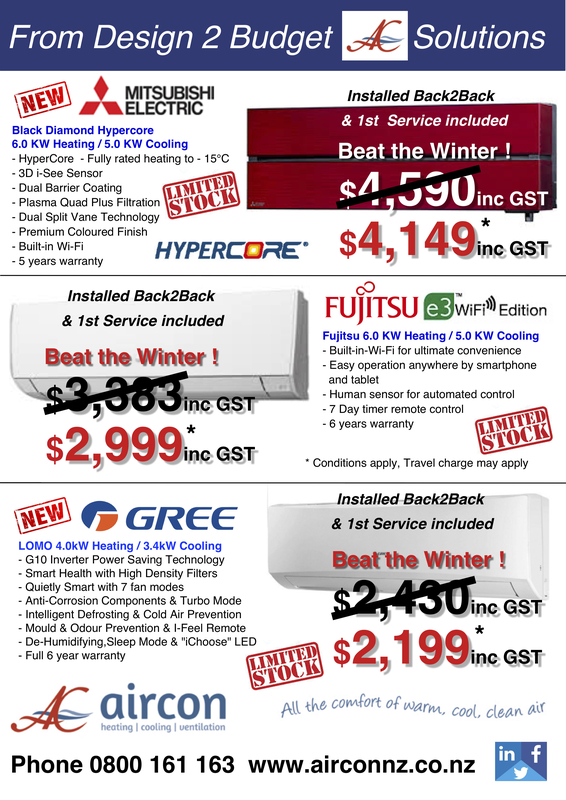 We use brands such as Fujitsu, Mitsubishi and Panasonic because we trust them to heat New Zealand homes. For a healthier home, we also offer ventilation solutions. We clean and service pre-existing heat pump systems. 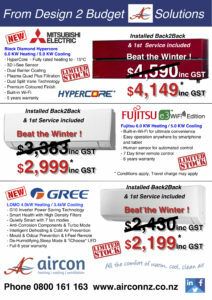 To buy or find our more contact us at Air Con Tauranga!